Best Toilet Snake of 2019 – Check Our Top 5 Picks! Clogged drain pipes are a common thing in most homes. While some people are accustomed to using plungers when this happens, toilet snakes are a much better option because of a number of reasons. First, they enable you to reach further down into the drain pipe and unclog things that are stuck beyond the reach of plungers. Second, they are not messy and third, with a toilet snake you can actually retrieve the item, say keys for example, that were flushed inside. Lastly, they are easy to use and will save you the expense of hiring a plumber to do the job. 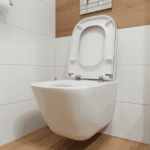 For these reasons, it is important to switch from a plunger to a toilet snake, and this article looks at the best toilet snakes in the market, with a view of helping you get the most suitable one for your unclogging needs. Ridgid’s toilet auger features a 3-foot-long snake with a thickness of half an inch. This snake is made using a strong compression-wrapped inner core cable that is covered in 3 separate layers. With this design, the snake is able to force its way through corners and blockages without bending. In fact, the entire 3 feet of the snake is kink-resistant, which means that it won’t collapse at all as it bends through the toilet and into the drain pipes. To make it even more effective, the front of the snake has a bulb head, which does a very good job at getting the blockages out of the way. On handling, this unit has a large, ergonomically designed handle, with good grip that makes it easy to turn. The handle is connected to the flexible part of the snake using a corrosion resistant tubing that retains its shiny metallic coating even after multiple exposures to the toilet water. 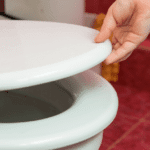 A vinyl guard is placed at the joint between the tube and the flexible snake so as to prevent any scratches or damages to the toilet’s porcelain as you push the auger through the S bend. 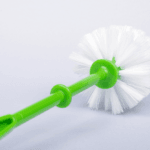 In terms of compatibility, this product can be used on water conserving toilets, WaterSense toilets, and water efficient toilets, making it an almost universal toilet unclogging tool. A 3-foot-long snake that is 0.5 inches thick and is made using a strong compression-wrapped inner core cable covered in 3 separate layers. Vinyl guard for protecting the toilet’s porcelain from damages. Compatible with water conserving, WaterSense and water efficient toilets. General Pipe Cleaners’ spin through drain auger is quite different in terms of design when compared to Ridgid’s unit above. This one has a drum and a high impact T handle, which is particularly easy to use in laundry tubs and of course, toilets. The drum houses a 25-foot-long cable, which is basically a coiled metallic cable that rotates as you turn the handle. This long length is ideal for reaching deep down into the drain pipes, enabling you to unclog your entire drainage system from the toilet, sinks, laundry tubs or any other access point to this system. In terms of thickness, this cable is 1/4-inch-thick, which makes it suitable to use on 1-1/4 to 2-inch drain pipes. On operations, the snake is mechanically hand driven using the T handle and this is controlled by a full-size thumb screw, which makes it possible to drive the cable forward or in reverse by rotating the handle in the same direction. This rotation is what causes the cable to curve around bends without any form of strain as you push or pull the cable into or out of the drain pipes. Smaller and more compact design because the cable is housed in a drum. High impact T handle makes the auger very durable and easy to use. 25-foot-long cable with a 1/4-inch thickness. 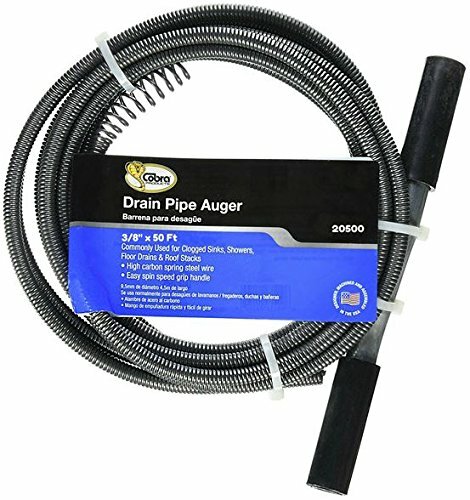 Suitable for 1-1/4 to 2-inch drain pipes. Full-size thumb screw for controlling the cable. FlexiSnake’s toilet snake is not as long as the other types of snakes, but it is very hygienic. The product comes with an 18-inch wand (about 1.5 feet) that is usable only once, after which it should be disposed of. 5 refills are included in the package so as to help you deal with the first 5 unclogging incidents without buying any additional wands. 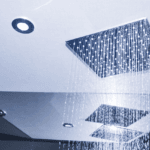 What makes the system very effective at pulling out the clogging material is the patented micro-hooks, which are especially good at grabbing onto hair, filth, and grime without causing any damage to your drain pipes. 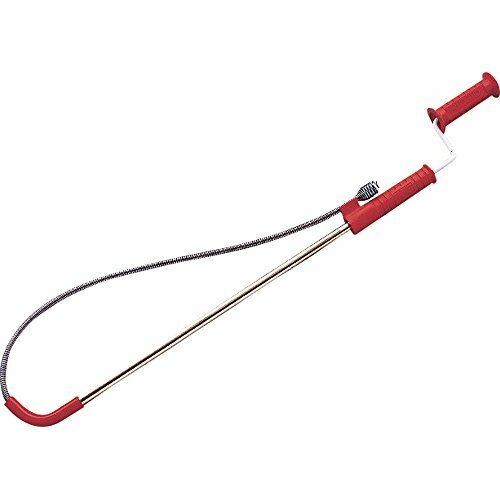 Apart from this, a 360-degree rotating handle enhances the effectiveness of the micro-hooks by rotating the wand and consequently, rotating the hooks to give them more traction over the filth so as to pull it out or loosen it easily from the drain pipe walls. When setting up, the wand and handle are easily connected using the product’s quick connect technology and then covered up by a molded plastic sleeve. 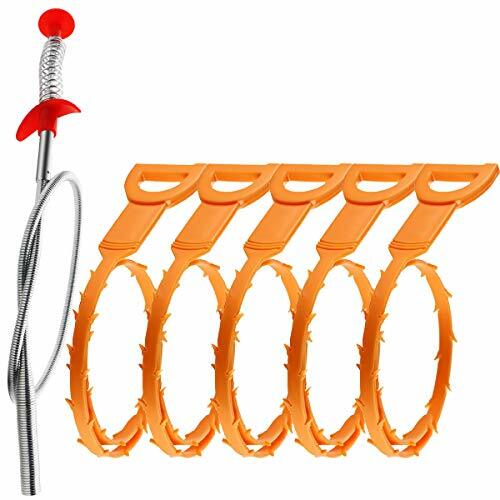 This ensures that the wand remains attached to the handle as you carry on with your work. 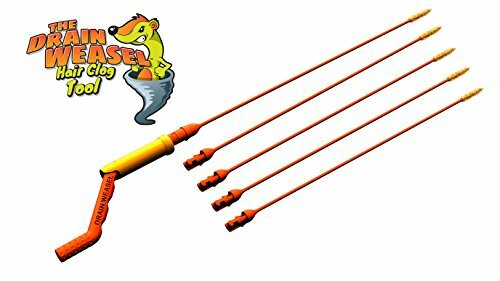 18-inch flexible and disposable wands make the snake very hygienic. Comes with 5 wands for refiling up to 5 times before use. Patented micro-hooks on the wands make them very effective at pulling out the clogging substance. Easy to use 360 rotating handle that enhances the effectiveness of the micro-hooks at unclogging toilets or sinks. Quick connect technology makes it easy to refill the wands by simplifying the process of attaching the wand to the handle. Molded plastic sleeve for securing the handle-wand connection. If you want to reach very far down into your drain pipes, Cobra Plumbing’s 20500 is the best toilet snake to buy. It has a long 50-foot cable that is made out of high carbon, round diameter spring steel wire, which is strong enough to go those lengths without kinking and very durable because it is rustproof. Apart from this 50-foot snake, there are 25 and 15-foot options that are much cheaper to buy. However, all of these sizes have their cables measuring 3/8 inches in diameter and ensures that they give the same kind of performance, only at different depths. This thumb screw and the spinning action of the handle is what makes it possible to drive the snake around corners and very deep into the drains. 50-foot-long cable makes it possible to reach deep down into the drains. Available in 15- and 25-foot cable options. 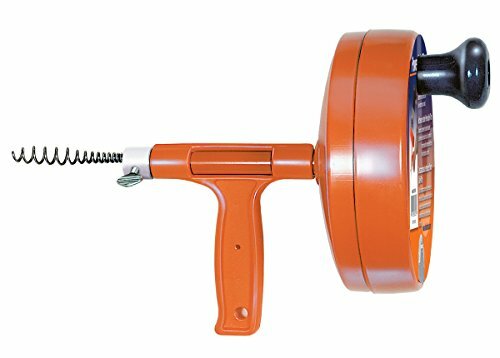 Strong and durable galvanized torque-twist steel handle. Thumb screw on the handle for adjusting its position along the snake’s length. Omont’s drain snake is the most affordable product in this list but this does not mean that it is substandard. In fact, this product is available in two kinds of sets. The first one is a combination of 4 plastic drain snakes, with each measuring 19.7 inches in length and 0.31 inches wide, and a pair of gloves to help you maintain hygiene on the job. The second set comes with 5 plastic drain snakes and a single stainless-steel unit that is 24 inches long and 0.9 inches wide. This set is a bit expensive than the first one, although all are relatively cheaper as compared to the other snakes featured above. In terms of design, the plastic snakes have hooks all around their lengths for clinging onto the filth that is clogging the drain pipes as you rotate the handle and pull it out. The metallic one is quite different because it has smooth sides made of coiled stainless steel. However, it has a claw that is exposed once you press the handle inwards, and this is what grips onto the filth and holds it as you pull the cable out. Available in two types of sets, with one being all plastic and the other containing an additional stainless-steel snake. 19.7 by 0.31-inch plastic snake. 24 by 0.9-inch stainless steel snake. Plastic snakes have hooks all round their lengths. Metallic snake features a claw for grabbing and pulling out the filth. The length of the auger’s cable is very important to consider because ultimately, it determines how deep you can drive it to unclog the blockage. If you live in a single-story house, a 25-foot cable will be enough to reach almost the entire drain pipe. However, if your bathroom is on the upper floor of your house, it is better to consider buying at least a 50-foot snake so that it can have an extended reach to the longer drain pipes. Another thing that you need to consider is the width of the cable. For toilet unclogging, this is not a big issue since the drain pipes are usually big, in the range of 3 – 4 inches in diameter. However, if you intend to use the same snake to unclog sinks or tubs, which are drained using smaller pipes, a 1/4-inch snake is the best for a 1 – 1-1/4-inch drain pipe diameter while a 1/4 – 5/16-inch snake is the best one to drive down a 1.5 – 2-inch pipe. For 2 – 3-inch drain pipes, 3/8-inch cables are the best options to use. This rough guide should help you pick the best-sized snake for the job. Most toilet snakes are either made out of metal or plastic. Metallic snakes are usually longer and are meant for going deep down into the drains so as to clear the way using bulb, claws or other types of mechanisms located at the head of their cables. On the other hand, plastic snakes are usually shorter and are mostly meant for unclogging sinks and tubs, although they can also be used on toilets if the blockage is not very far inside. They usually have spikes or hooks on their sides for grabbing onto the filth as you rotate the handle so that you can pull the entire blockage clean to the outside. For the best outcome, it is better to buy a metallic toilet snake because it is more effective at reaching the far depths of your drainage system. Although metallic toilet snakes are more effective, they are very unhygienic because of their reusability factor. This basically means that after dipping the cable inside the dirty water in the toilet bowl and down the drain, you must wash it afterward so as to store it for future use. However, there are some varieties of plastic snakes that have disposable wands/ cables, making them very hygienic to use. 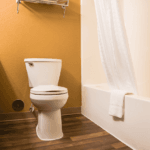 All you have to do is unclog the toilet, sink or tub, then replace the wand and deal with the next blockage. No cleaning required. Some augers are big in size while others occupy a small space. The physical size of these units is important to consider because of storage purposes. Small and compact augers, such as those with drums for holding the cable, are better off when it comes to storage because they will occupy a very little space. However, for the big ones, such as Ridgid’s 59787, they occupy a lot of space, which makes them less portable and harder to store. Accessories are a good addition to any snake set and will definitely make the deal better. What you need to look for is something like gloves or replacement wands in products that have disposable plastic cables. From the information given above, it is clear that some features differentiate these toilet snakes from each other, with each having its own strengths that make it ideal for a particular job. 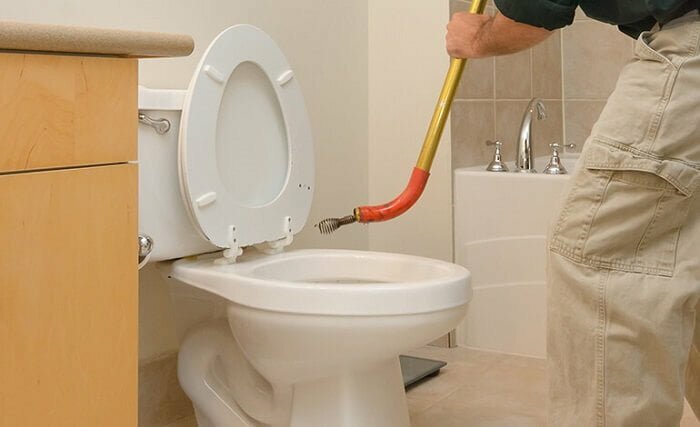 Therefore, it is important to go through this article so that you can get the most suitable auger for your needs and get that satisfying feeling after you successfully unclog your toilet drain blockage by yourself.